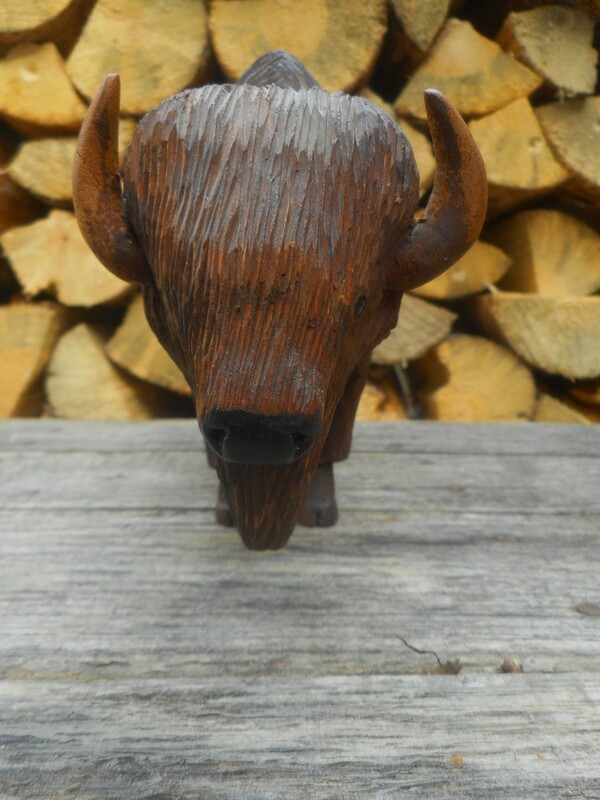 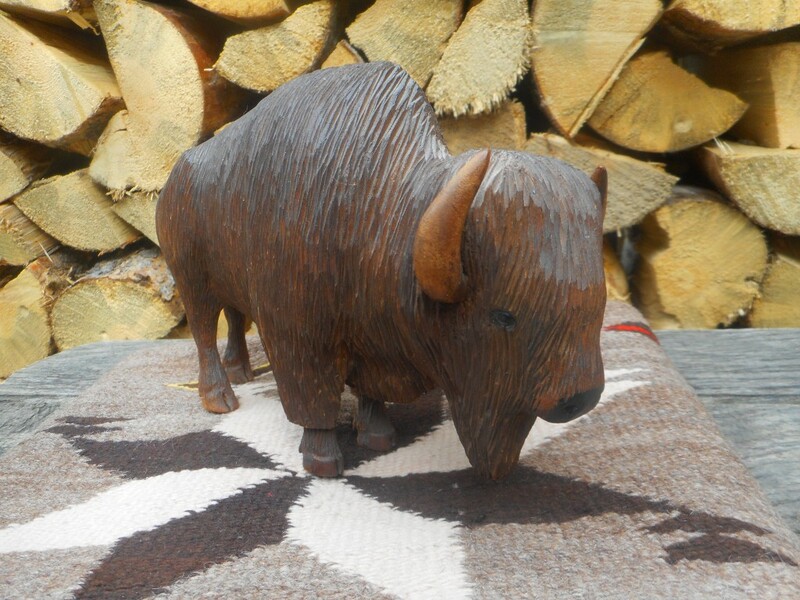 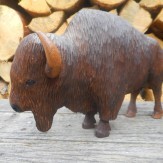 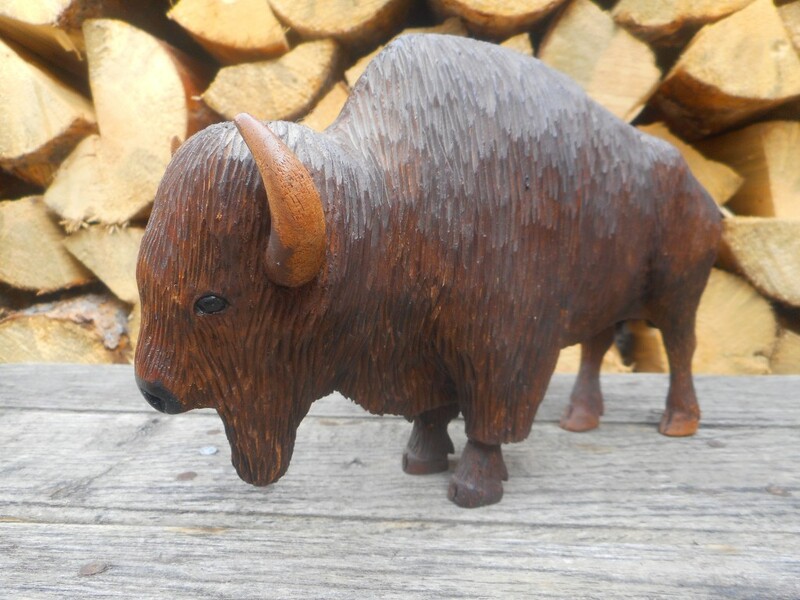 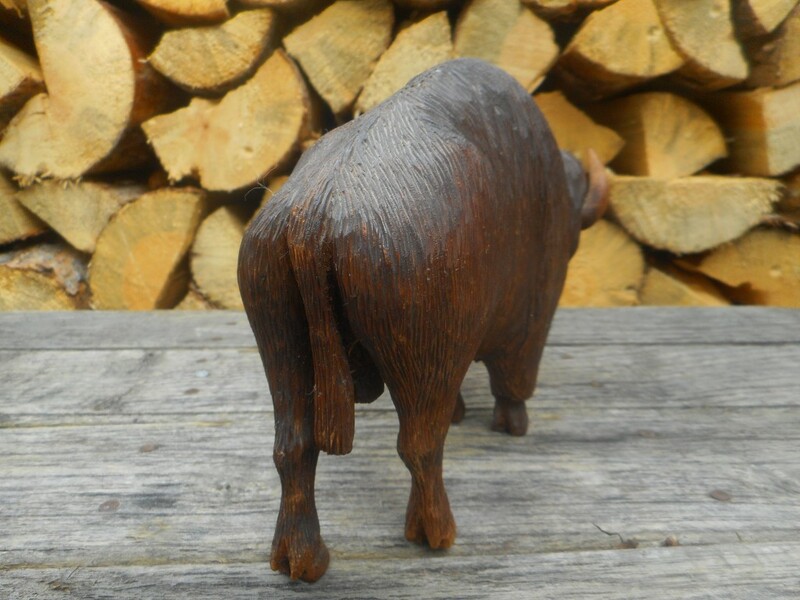 Wonderful large wood carving of a buffalo or bison, made of cottonwood. 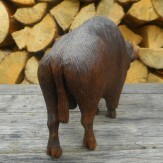 8.5"L x 4"W x 6.5"H. Circa 1940. 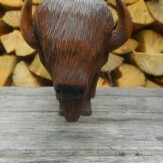 No carver's name is on the piece.